You’re starting a news site to fill a community need. Or you’ve been running one for years; now you want to stabilize income, maybe expand. The recent double-header JA forum on increasing revenue to news sites aimed to capture and share the invaluable running-a-business know-how that news publishers create through their work every day. The two-day conversation discussed first the needs of local, then of niche news sites. Here we distill both rich comment threads to showcase publisher experiences and emerging best business practices in three key areas: partnerships, advertising, and other sources of revenue. A hat tip to Cary Citizen publisher Hal Goodtree for this pointed forum takeaway: “One revenue stream alone will not support your hyperlocal.” Seems obvious, maybe. But how do you get to seven different revenue streams, like Oakland Local? Or develop a reputation for training that pays your investigative reporting bills? Or use social media consulting to bring in ad revenue? A recent survey of Investigative News Network and Block by Block members found that publishers put sixty percent of their budgets toward journalism and less than twenty percent to generating revenue. “That mix does not bode well for creating financial stability,” writes Janet Coats, manager of The Patterson Foundation’s New Media Journalism Initiative. (Full disclosure: The JA receives TPF support.) So what does? The ideas and experiences shared over two days of intense conversation in the recent JA forum on increasing revenue offer many insights into building financial stability. The takeaways fit into three overarching themes, each central to business success: partnerships, advertising and non-ad sources of revenue. Dig into what interests you now, come back later for more. The conversation threads also remain open discover more insights and add your experience. Partnerships and collaborations are often discussed in terms of creating content, but what changes when you consider partnerships through the lens of earning revenue? 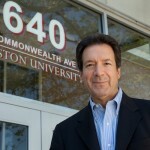 Consider the relationship between the New England Center for Investigative Reporting and Boston University. BU support covers about 20% of NECIR’s costs. The university offers students access to hard-hitting, working journalists, and NECIR gets a brand name that helps sell investigative journalism training. In fact, the training is NECIR’s biggest source of revenue, and it’s growing. In the JA forum, NECIR co-director Joe Bergantino noted that a clear business proposal and level-headed negotiating are key to cementing financially sound partnerships. NECIR sells content too. Bergantino says to earn revenue from content collaborations you first must believe your work is worth money. Then it’s that routine business practice again – explain your product and negotiate with your bottom line in mind. Many new news sites consider partnerships with legacy news organizations. In the forum conversation focused on local news needs, Dan Grech, news director of public radio station WLRN, talked up his eight year collaboration with the Miami Herald newspaper. He says he can’t draw a straight line between the quality of news and financial support, but he believes they are connected. Partnerships between big papers and smaller online sites seem to have succeeded more at sharing content than generating revenue. It’s a tricky relationship – judging by some of the sparks that flew in the forum. Ned Berke of Sheepshead Bites weighs partnership proposals with the question “will this benefit both of us enough?” Jason Pramas of Open Media Boston hasn’t found a financially viable partnership yet, but he keeps the relationship door open through “gamely chatting” with big local news outlets from time to time. The chats take time – it’s a business investment to create a relationship. Any business relationship is useful to view as a partnership, while keeping your eye on the financial return. Emily Lowrey experienced that as she built Magic City Post, a local news site supported by a local shopping platform, now expanding beyond Birmingham. 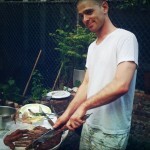 Robert Cox of Talk of the Sound found helping businesses get set up with social media led to ads, and Jeremy Sapienza learned local merchants wanted to support his site, BrooklynBK, through fundraisers when they saw themselves as partners in a community effort to provide relevant local news. Business partnerships can include ad services – brief reviews of IDG, Buy Sell Ads, and Local Yokel Media in the forum show its worth weighing the financial benefits and drawbacks of different ad networks. You can also find help finding good writers through companies like the startup freelancer database Contently. Founder Shane Snow has tips on managing business relationships with writers. The experience of Xconomy’s Bob Buderi shows success with freelancers comes easier when the relationship is a mutual investment. But in the end, perhaps the most important partnership is the one you develop with the community that your news site serves. As Mike Green proclaimed at the end of the first forum day (and Steve Waldman endorsed a few days later), “community building is king.” Readers who are emotionally invested in your success seem more likely to support you financially, as story after story in the forum revealed. Banners are out, but sponsorships are in. In the discussion of niche news sites, Bob Buderi spells out the financial benefits of sponsorships for Xconomy: a wide range of different packages to offer, long term relationships that allow time for fine tuning if problems arise, and a more stable source of income than counting click throughs. There is a business and editorial distinction to be made between sponsored content and sponsors associating themselves with an independent news site. And a key distinction to understand, particularly for nonprofits, between underwriting and advertising. There are ways to learn this cornerstone to financial success. Publisher Emily Lowrey offers an outline of her sales management program and compensation. Hyperlocal sales rep Andy Dragt notes sales people need time to ramp up relationships. And John Garrett, who cut his teeth in newspaper advertising and distribution before starting Community Impact Newspaper, says passionate journalists can be their products’ best sellers, if they can get over the reluctance to tout what they believe in. Consulting is one of the multiple revenue streams Susan Mernit at Oakland Local has developed. Training is another; Oakland Local gets grants for training as well as charges directly. Many publishers want to sell their content; the lively discussion over this in the forum reflects the divergent debate over access to content across the wider publishing spectrum. Will it undercut traffic, as Bob Buderi asserts? Does separate, premium content make more financial sense? What would your audience be for such specialized reports? You might mock up a draft and try pre-sales as part of your market research. Donations are gaining the attention of publishers. Andre Natta incorporated a “donate” button right on The Terminal site, although he has found a stronger response to t-shirt sales. His read on that? People like to show off their support. Membership models are attracting interest, as are subscriptions. Mike Green says you can pull off paid access to content if you have great, unique content to sell. Check out his list for ideas, from Ask the Mayor to daily deals. As you build each revenue source, remember you are building relationships. A key business practice: Keep track of them! Consultant Rusty Coats says it is hands down worth investing time to solidly learn CRM – customer (or community) relationship management. 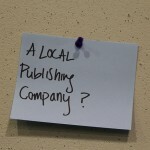 The conversation threads on local and niche publishing are rich with more pointers, philosophical discussions, pithy quotes and people to connect with. The most succinct basic business advice of the forum may have come from Ned Berke, who recently started a second local news site in New York. Berke also makes his colleagues justify buying anything, even a box of paperclips. Folding corners instead just might be Step One to building financial sustainability. What’s working for you? We welcome more ideas, or challenges to those you see here. The comment thread, or the forums, remain open for those who may not have weighed in yet to do so. With the rate of iteration and experimentation at an all time high, bringing more ideas forward where others can find them holds great promise to lift all boats. What’s your formula for revenue success? Emily, thanks for this incredibly helpful, link-laden treasure trove of tips and ideas.